How Will Your Brand Leverage the Firestone Grand Prix? 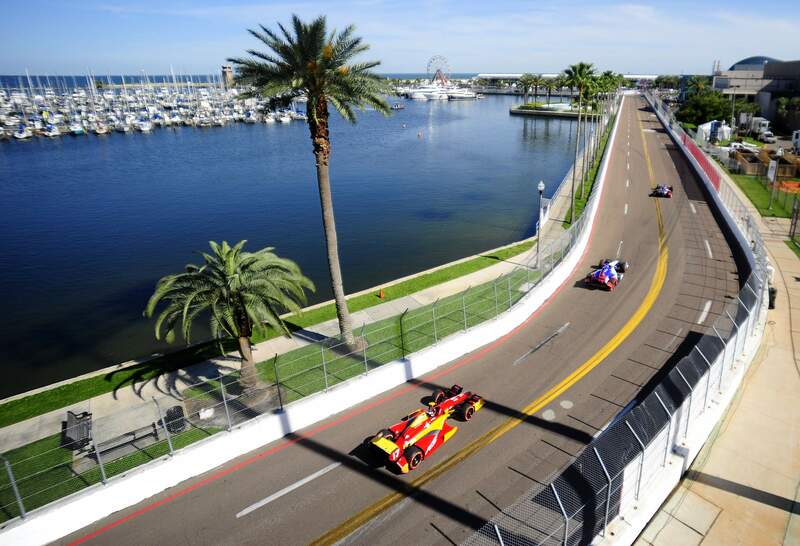 The Firestone Grand Prix of St. Petersburg is a popular, annual event happening on March 9-11, and while fans are anticipating the races and other activities, brands are equally excited about the boost in tourism. The St. Pete Grand Prix held the first race in 1985, and the event has grown in popularity since then. Recently, over 150,000 fans have attended the event every year. Fans are excited about the 11 different races and live entertainment, but local brands in St. Petersburg are looking forward to a large increase in the number of people in the city. The Grand Prix brings in tourists from all around the country, and the increase in tourists helps stimulate St Petersburg’s economy. Since the Grand Prix is such a popular event, St. Petersburg will have a boost in the number of tourists over the weekend. A rise in tourism will stimulate the economy of St. Petersburg, since tourists need to a place to stay, eat and shop during their vacations. While brands benefit from the St. Pete Grand Prix because of the number of event attendees, there is also a collaborative advantage. When an organization promotes an event in a specific destination, the destination gains awareness through the event’s advertising. In the same way, a destination can advertise for an event nearby in the hopes that it will increase tourism in the area, which, ultimately, benefits both the organizer of the event and the destination’s economy. Brands in St. Petersburg can capitalize on the increase of tourists by using social media. Social media is quickly becoming the most popular news outlet for teens and young adults, and its popularity is growing to include even older generations. “72% of online 18-29 year olds use social networking websites, nearly identical to the rate among teens, and 62% of online teens get news about current events and politics online,” according to Pew Research Center. Brands can use social media to gain exposure by using the buzz surrounding a large, upcoming event, like the St. Pete Grand Prix, to their advantage. First, a brand needs to do some research. What hashtags are people using when they post about the event? Does the event organizer have a Facebook page or Twitter account? According to the Grand Prix of St. Petersburg Facebook page, the event has its own Twitter handle: @GPSTPETE. The event organizer also asks fans to post with the hashtag #FirestoneGP. If a brand wants to associate itself with the buzz surrounding the event, it should mention the event in the post and include the suggested hashtags, while still making the post personal to the brand. For example, if a restaurant in St. Pete wants to attract Grand Prix attendees, it should post about a coupon it is offering to @GPSTPETE fans or about how the restaurant is within walking distance of @GPSTPETE. While the Grand Prix of St. Petersburg uses social media for most of its advertising, it also has used some traditional forms of media, like a broadcast on ABC. Watch the broadcast by clicking here or visit http://gpstpete.com for more information about the Grand Prix of St. Petersburg.